You’re one of a kind. 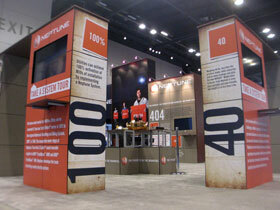 Now your rental exhibit can be too. With the MultiQuad rental program, you can rent any size, any configuration exhibit any time you need it with our Always In Stock™ guarantee. Utilize one of pre-designed packages or request a custom design specific to your company. 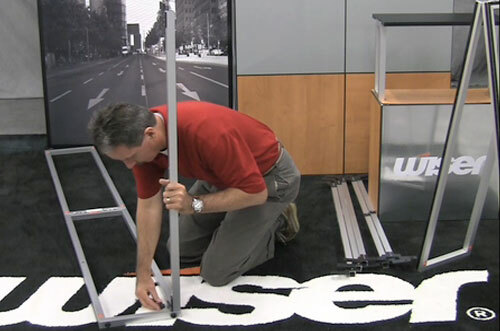 Quite possibly, the greatest advantage to renting a MultiQuad over another exhibit, is that it is so personalized and tailored to reflect your company’s image, that it’s almost like making a custom exhibit purchase. 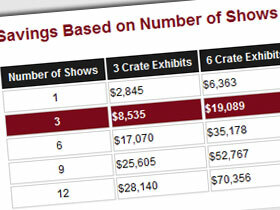 Consider all the other advantages that make MultiQuad the best exhibit rental system on the market. 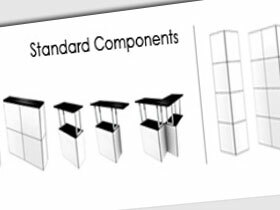 Since Standard components are Always in Stock™, you never have to worry if something is available when you need it. Tired of rental exhibits that look like rental exhibits? Not a problem with MultiQuad. 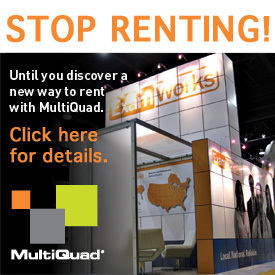 Unlike boring show rentals or leftover old exhibits from an exhibit house, no one will know that your MultiQuad was rented. MultiQuad rentals look custom and new. 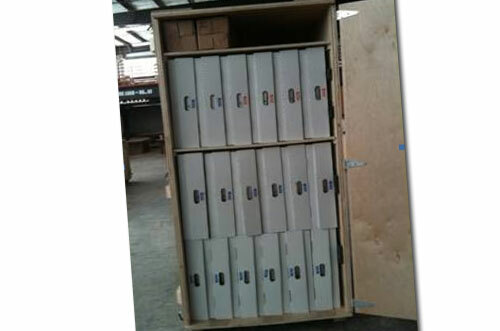 A 4’ x 8’ MultiQuad frame with Quads is 32 cubic feet of exhibit, but it occupies only 3 cubic feet when packed for shipping. That's a 93% reduction! The average 20’ x 20’ MultiQuad design fits into only one crate. 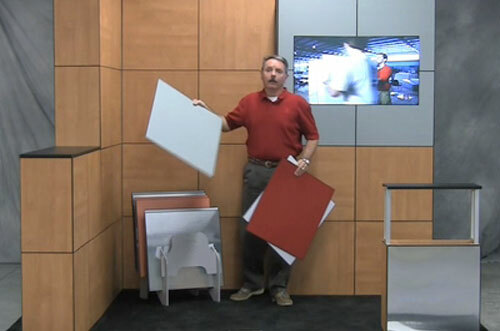 MultiQuad saves BIG on size-based shipping costs. Just look what’s included. 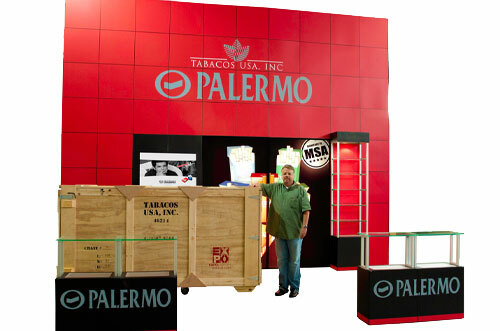 Standard components and accessories, Standard rental Quads, all necessary cases/crates, staging (complete set up of exhibit at our facility), photos of the staged exhibit, detailed electrical and assembly plans. No need to sort through outdated rental designs hoping to find something that you like. 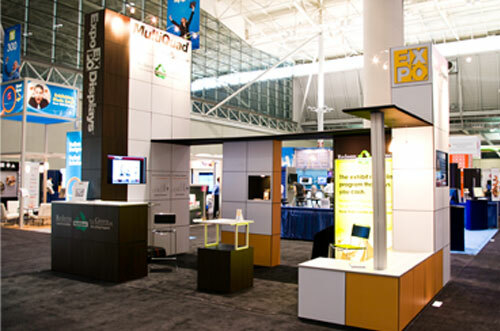 With MultiQuad, your exhibit can be as fresh as your ideas. 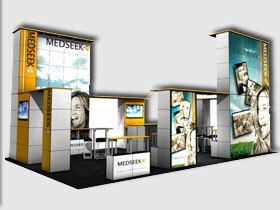 Our professional in-house Design Department will create the perfect MultiQuad solution for any show. 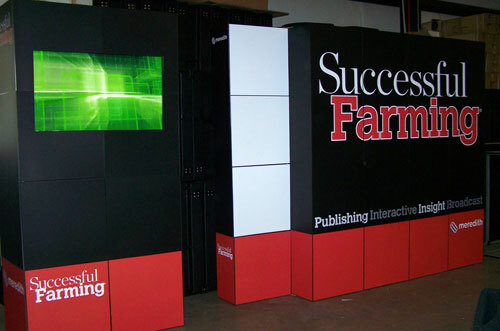 ExpoGraphics ExpoDisplays.com/graphics.php, our in-house graphic design and production division creates premium quality, high impact graphics that ship with your MultiQuad rental. All Standard MultiQuad accessories are Always in Stock™ and available for rent. You can customize with accessories include LCD monitors, keyboard shelves, spotlights and back-lights, inset product showcases and more. Choose from our selection of Always in Stock™ rental Quads to form the basis of your design. Choices include white, black and other select colors plus a good selection of beautiful wood grain Quads. And remember that you can purchase Quads of most any color and style imaginable. In addition to our Standard rental Quads, we offer a virtually unlimited number of Quads to give you any look that you want. These include PMS matched colors, wood grains, brick patterns, standard and back-lit graphics and any design you can dream up. 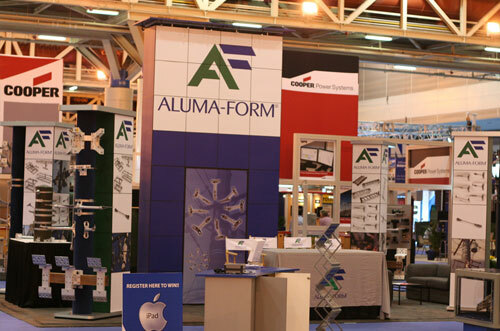 ExpoDisplays has a professional, in-house Exhibit Management division that can help you with the show. 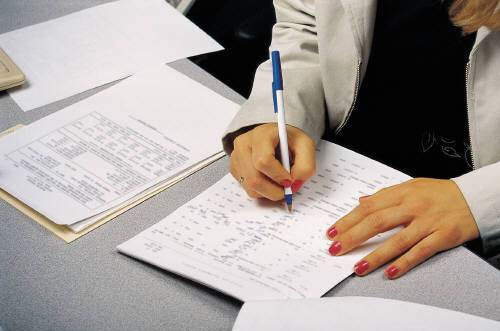 That includes shipping, I&D and even filling out your show forms. 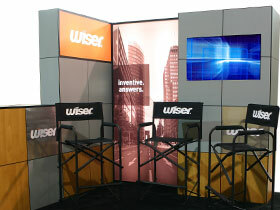 Eliminate the expense of hanging signs and get your name up to 16’ high with a rental tower. 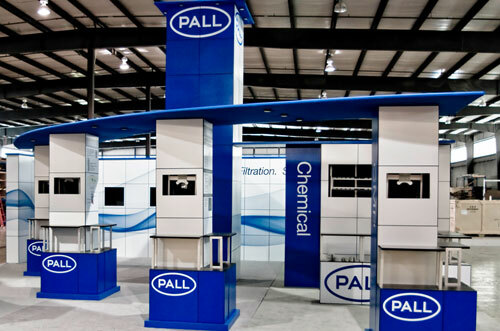 Choose from one of our standard kits or have our design team create a unique rental tower to give you a big look at your next show. Even the largest MultiQuad component assembles easily with no tools and clearly labeled assembly instructions. All components and boxes are clearly marked. Accurate electrical and assembly instructions are included in your rental. 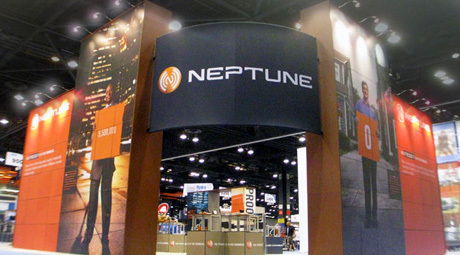 As a full service custom exhibit house, ExpoDisplays can create pretty much anything you want to compliment your MultiQuad rental. 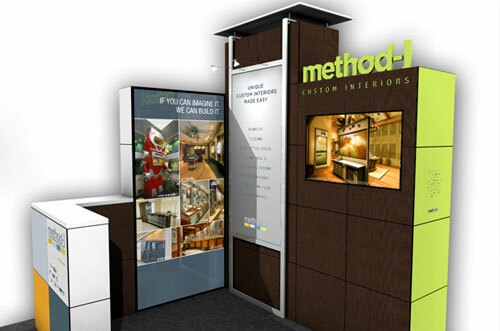 Let our museum-quality custom exhibit experience go to work for you. Choose a Quad finish from our rental Quad inventory shown below or ask our Graphics team to produce new Quads for you in any color, graphic or finish you desire.